Piano Group Department is approaching! Get some performance practice in a warm and friendly environment! Meet new friends who are also studying piano, and explore piano-related topics. Talk with your teacher about what YOU can bring to our next Department Group! 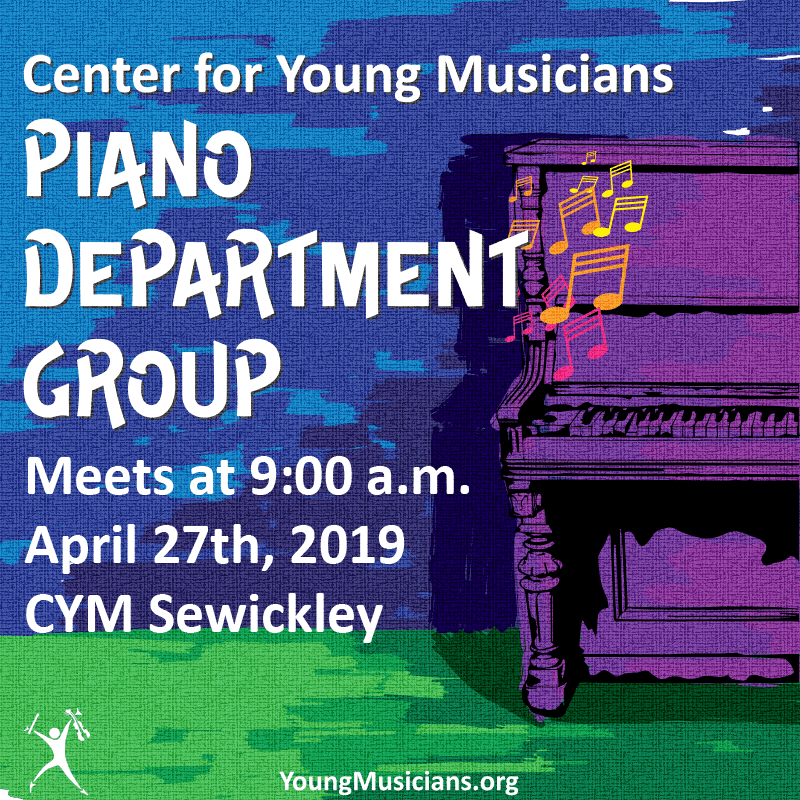 Please join Ms. Simmi for the April Piano Department Group held at CYM Sewickley. Open to all piano students. This will be great practice for the CYM Solo recital! See you there!